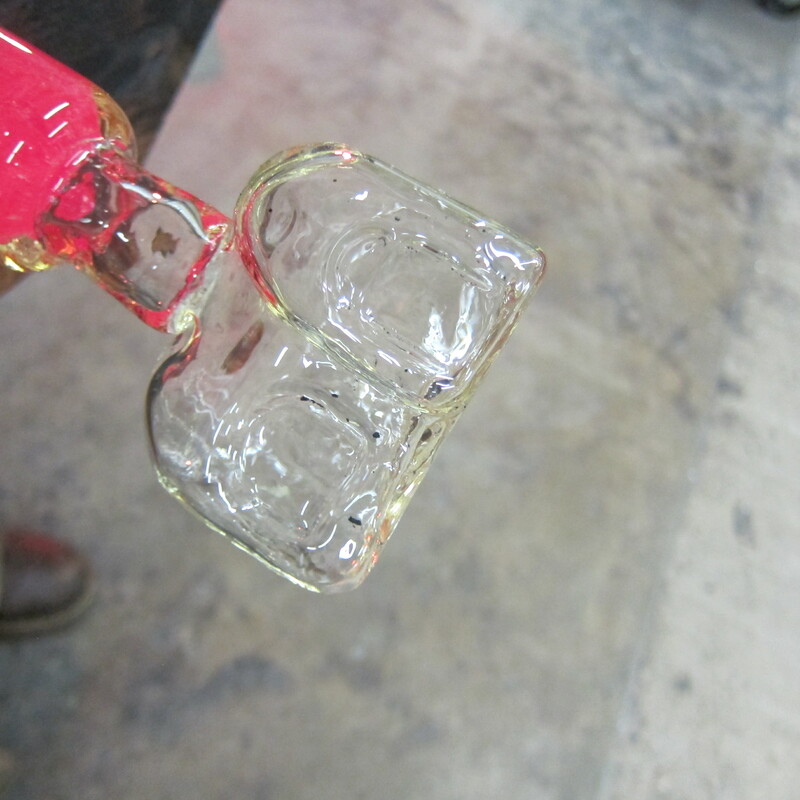 So tonight I got to try out the mold I made to blow my glass putz houses. I didn’t expect it to work out on the first try but was pleasantly surprised that my plan worked! I’ve still got some tweaking to do to the design but am very excited with how the first few turned out. After pouring a wax of the original model I made a two part plaster mold that I could blow into. 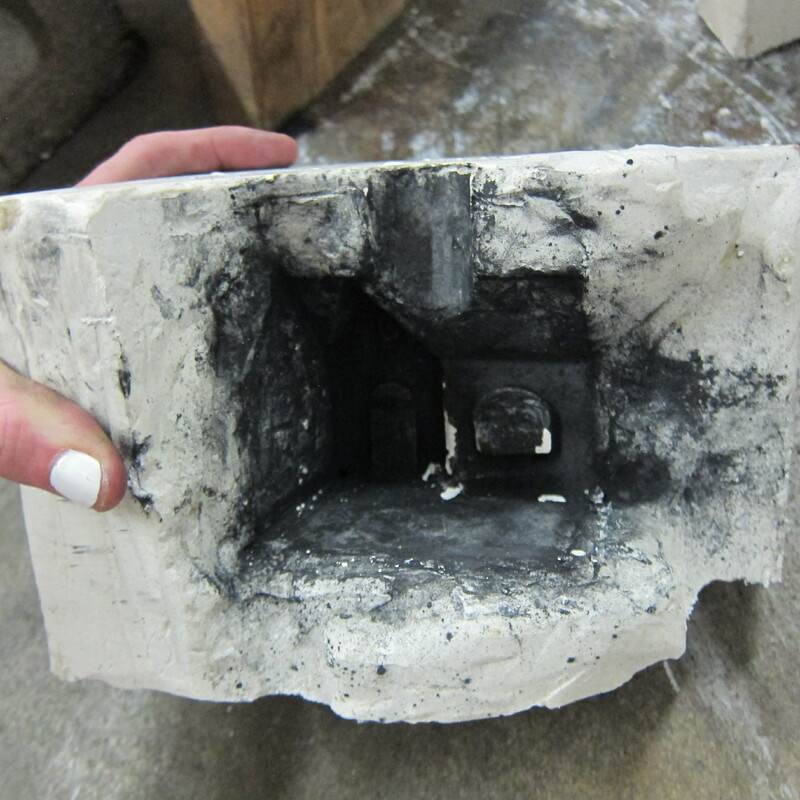 This pretty little piece of plaster coated inside with graphite is one half of the two part mold I blew into to make the house. I tried the design in clear a few times. When my first attempts come out the annealer I can start to plan what to do differently to the finished pieces. As is the nature of glass the house ended up a bit more rounded than the original model. I like the effect but might try and find ways to make the angles of the roof show up better. I also need to decide what colors I plan to make the finished pieces in.